Only the Relax Far Infrared Sauna has this patented ceramic far infrared generator technology. The ceramic chip used by the Relax Sauna. ​Above is a patented ceramic chip that only the Relax far infrared sauna has. This chip is "tuned" to emit a certain frequency of far infrared in the 4.4 to 14.4 micron range. This is the perfect range of infrared for the body to absorb. Because of these chips(the Relax sauna contains 40 of them) the sauna emits both the highest and cleanest levels of infrared compared to any other sauna. Read more about the Relax Far Infrared Sauna's technology here. Here you can see the 2 radiators in the Relax sauna. Each radiator has 20 ceramic chips. What far infrared generators do other saunas use? Other far infrared saunas pictured above. The picture on the left is an imitation sauna sold on Ebay. It is made to look like the Relax sauna but it is very different in how it generates far infrared. The middle picture is of its inside. Note the infrared panel behind the chair. The right pictures shows a nice looking but less effective wood sauna which also use the same infrared panels as the cheap imitation saunas. In the image in the center above shows the inside of a cheaper imitation sauna you can see the infrared emitting panels on the walls of the sauna. The "hot plates" use electrical wires and carbon panels to emit infrared. The problem with these are 3 fold. 1. They surround your body in EMF radiation. 2. They do not emit high levels of far infrared. 3. The frequency of infrared is not as pure as with the ceramic chips of the Relax Sauna. In this video, a sauna user compares the Relax sauna to expensive wood saunas. "Now I know the Relax infrared sauna does not look impressive, making it hard to believe that the best is not necessarily the most expensive and nicest looking one. Especially when you compare the Relax Sauna to the beautiful wooden saunas ... that have built-in stereos, lighting and that spa-like feeling. I understand your gut reaction. For the last 10 years I have turned my nose up at the Relax Sauna every time I saw them at the health conferences until this last year when I tried one. I was sold on the Relax Sauna within the first 3 minutes! Right away I could feel the difference. No preheating like with the wooden saunas. In the Relax Sauna, I experienced instant relaxation from the higher quality infrared." "The Relax Far Infrared Sauna that I purchased at the show is awesome. I have been looking for the best sauna for awhile now. It is the "real deal" and as far as I know this unit is the only one with medical device technology in the states. I especially love the flexibility of the sauna. 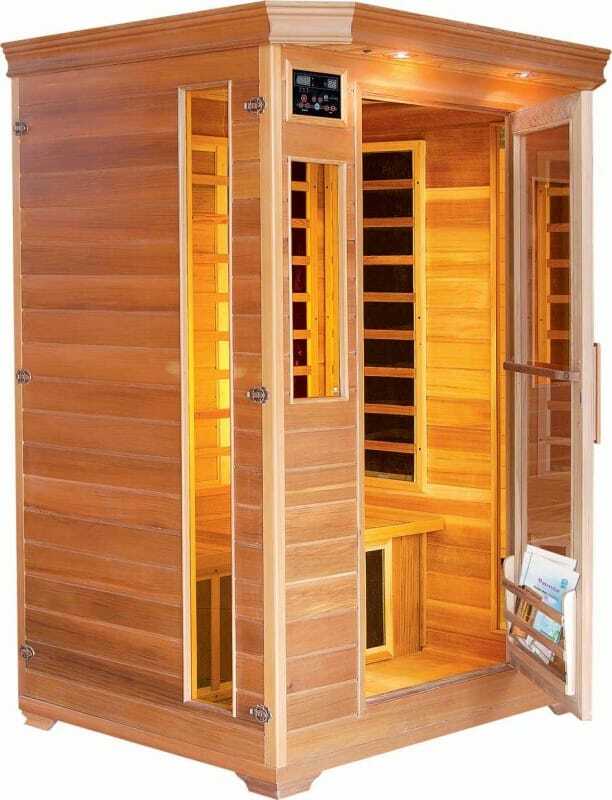 The most important feature is that this particular sauna has a patented semi-conductor chip (which is the differentiating factor) which allows the absorbable FIR energy - the good 4-14 microns at temps up to 140-170 degrees - good for the body and with no harmful near and medium infrared rays. Other far infrared devices do not have this semi-conductor chip and hence do not generate far infrared light at high temps. You can read more testimonials about the Relax sauna here. Click here to read about the Relax Sauna compared to the Therasage sauna. Here is some information about what separates the Relax sauna from other saunas on the market. Here is another comparison of the Relax sauna with other saunas. This goes over the patented far infrared emitting chip that is only in the Relax Far Infrared sauna. the Relax Sauna and one of the cheaper saunas that she previously owned. Does the Relax Sauna emit EMF's? Many wonder how the Relax Far Infrared Sauna (95-99% pure - NOT 40-60% like most of theQuality Wooden FIR Saunas) compares to the effectiveness & technology of the many quality wooden FIR Saunas. Click here to read why people who already own a wooden sauna are buying the Relax sauna. Similarly whatever damage may have been cause by BAD EMF in the past can be resolved using the Relax FIR Sauna. The earth itself generates very healthy EMF. Not all EMF is Bad. EMF has a bad name, like FATS did before Udo Erasmus came out with his book , Good Fats, Bad Fats. Do NOT be fooled by marketing ploys from other companies talking about this EVIL EMF. My Green power juicer and my Vita Mix both generate LOTS of EMF. But the benefit of the Raw Juice far surpasses any damage that the EMF could possibly cause. Again, we have tested 2 different Gauss meters with the Relax Sauna, and everywhere where your body sits, there is LESS THAN .5 mg of EMF generated. 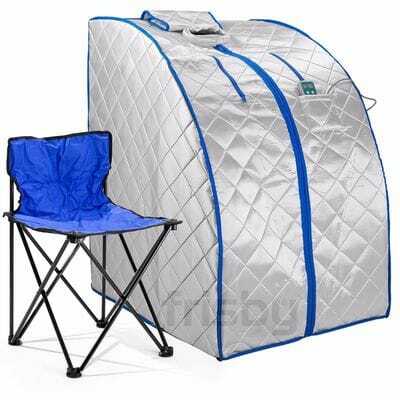 I was so saddened that one naturopathic doctor absolutely loved the Relax Sauna at a show we did, but appeared to go against her instincts and sent it back because of the bad press EMF has been given. And yes, some people are very sensitive to EMF, and I have met 2 people out of 80,000 people who I have put into the Relax Sauna, where the surrounding EMF was felt. But this is more the Exception, than the rule. We have thousands of Happy Relax Sauna users, many of whose lives have been transformed by the use of the Relax FIR Sauna. "5) Far Infrared Thermal Therapy and Electromagnetic Fields (EMF): Recently there have been reports detailing the hazards of exposure to certain kinds of electromagnetic fields, such as those from high-tension power lines, cell phones, or from computer display terminals. Far Infrared heating systems have been tested in Japan and found free of toxic electromagnetic fields. The Swedish National Institute of Radiation Protection has also concluded that infrared heaters are not dangerous. Instead, Japanese researchers have reported that far infrared radiant heat antidotes the negative effects of toxic electromagnetic sources." 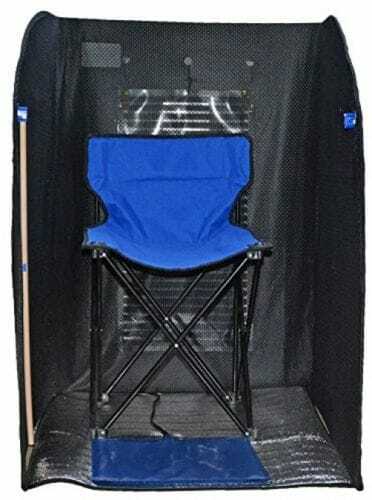 Of those who have purchased the Relax Sauna, or have tried the Relax Sauna at expos,many were surprised that the Relax Sauna heated up in less than 30 seconds, liked the fact that the head could stick out, loved the portability of it, but the most important factor, is that the Relax Sauna felt so much better, and appeared to detoxify them more effectively than any other Sauna, plus the fact that the Relax Sauna did this in 1/3 or 1/2 the time. They also liked the fact that the Relax Sauna could be used very effectively in a 5-10 minute session with their clothes on for pain and stress relief, relaxation and for vitality and rejuvenation. 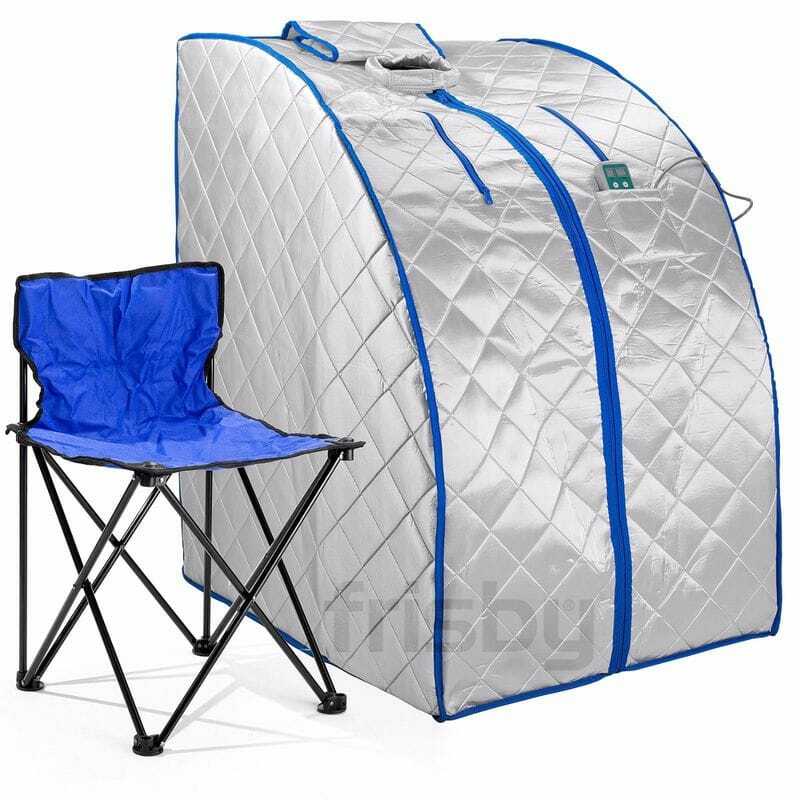 Click here to order the Relax Sauna today! ​The original and highest quality far infrared sauna available! Order a Relax Far Infrared Sauna today risk free. You get a 30 day risk free trial period and we guarantee that you will feel the difference which separates it from any other sauna available or your money back.